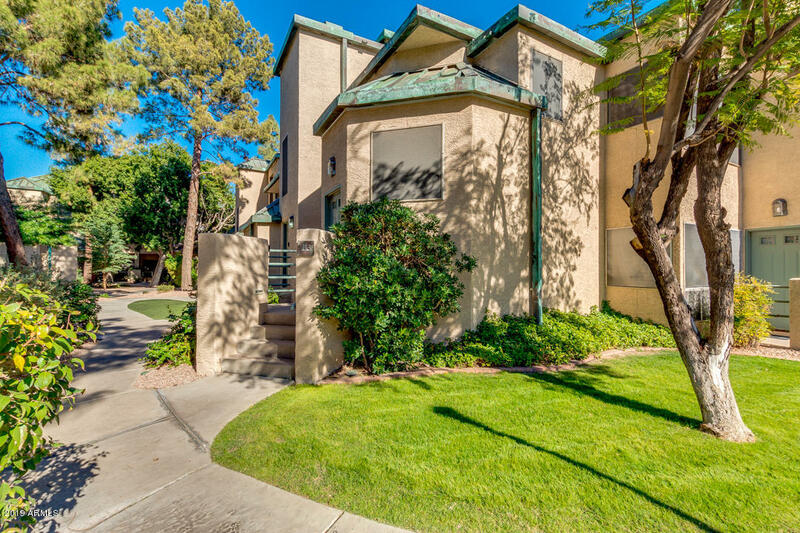 All RENAISSANCE PARK homes currently listed for sale in Phoenix as of 04/23/2019 are shown below. You can change the search criteria at any time by pressing the 'Change Search' button below. "Update: MOVE IN 7/1/2019 at earliest! Amazing remodel in gated oasis at walkable urban location. Larger 2BR/2BA has great room floor plan w/lots of natural light. Kitchen re-done w/upgraded cabinets, granite counters, stainless steel appliances, country sink etc. More upgrades: both baths remodeled, tasteful fireplace mantel w/re-tiled hearth, tiled back patio, carpet replaced BRs, interior paint, updated lighting. 2nd bedroom has separate exit. Park-like setting w/walking paths, water features,"